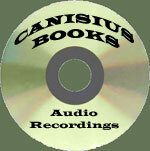 Each CD or audio tape cassette is $9.95 + $4.95 S&H; 2-part interviews are $19.90 + $7.35 S&H. (Prices are for North America). To order by credit card through PayPal, click on the "Add to Cart" buttons. Discusses the takeover of Catholic Mexico by American Freemasonry and Communism in the late 19th-early 20th centuries. Highlights the role of successive American presidents in destroying a thriving civilization, and the connection to the slave trade. The attack on Catholic education has startling parallels with what is happening in education worldwide today. Describes the Catholic Cristero resistance known as the Cristiada and the heroism of Cristero teenage martyr Blessed José Luis Sánchez del Río who fought for the greater glory of God. Shows how modern Catholic education is fulfilling the goal of the 19th-century Masonic plan to use Catholic schools to lead Catholics into the anti-Christian new world order. Discusses how to educate children today with the least danger to their souls. Article: What is Catholic Education? Article: What is New Age Education? Facebook, Twitter, Etc. : Whom do they Serve? Masterful explanation of the anti-Catholic nature of social networking. Shows that Facebook derives its philosophy from an 18th century Freemason and is today a tool for governmental thought control, the formation of a one-world mind and culture, and for the promotion of immorality, anarchy and revolution. Also discusses privacy issues and their relationship to corporate greed. The New Age/New World Order movement intends to completely transform the world into an occult way of thinking. Why is this necessary? Explains the occult and how its philosophy is manifested in ordinary daily life. Discusses the significance of the musical "Hair" and how working for peace, harmony and unity can lead one into the New World Order. Secular humanism is a worldwide revolution against God, stemming from 19th-century Communist anarchy. It is a human world order contrary to the Christian world order. It is recognized as a "living and growing faith," a religion in which man is God. Discusses the Humanist Manifestos, which form the bible of those de-Christianizing the world, the Church and Catholic education. A whole new way of thinking today represents a complete break with civilization based on Christianity. The 1960s ushered in a cultural transformation rooted in occultism, the religion of the coming Antichrist. His kingdom is meant to replace Christianity. We are moving from authority and hierarchy to complete freedom and "love." Exposes the methods and main change agents of the "Aquarian Conspiracy" brainwashing mankind. Shows the connection with Communist anarchy and Freemasonry. Which Prophecy is Russia Meant to Fulfill? This timely interview addresses the speculation that Russia is becoming more Christian than countries in the West. What does "Christian" mean? When did this theory begin? Should we believe that recent events in Russia fulfill the prophecy of Our Lady of Fatima? Or is Russia fulfilling a prophecy seemingly originating in Medjugorje? A realistic analysis of Russia's geo-political strategy, Russian Orthodoxy, and Our Lady of Fatima's message provides the answer. Backed by thoroughly researched facts, discusses the agenda behind recent scandalous pagan ceremonies at Fatima, current developments in the implementation of the new world order, and whether the consecration of Russia requested by Our Lady of Fatima has been done. Describes how the Christian way of life is being replaced by an anti-Christian world order. Shows how this Luciferian revolution is accompanied by a sometimes subtle reign of terror which is eliminating our freedoms and deliberately creating divisions within families. Exposes how liberal churchmen have helped to facilitate the cultural revolution. Explains how modern education does not meet Catholic standards because it has been replaced by secular humanist, new-age thinking. Offers parents solutions for providing a Catholic education for their children. Explains the origins and characteristics of the New Age Movement and the global community known as the New World Order. Learn how we are living in the New Age, as evident in social phenomena such as political correctness, the United Nations and technology designed to monitor our behaviour. Shows how a persecution of Christians could be on the way. The United Nations: Last Hope of Mankind? The New World Order is reshaping Canada in areas such as morality, family life, banking, the media and education. Those in other countries will notice striking similarities to what is taking place in their locales. Traces the development of electronic technology from television to the personal computer, the Internet, and communication technologies such as cell phones and social networking. Explains, from a Catholic perspective, the negative impact of these technologies, which are tools of liberal forces to revolutionize family life, classroom learning and the geopolitical order, such as in the Middle East. What parents need to do to protect their families and Christian culture. Discusses why and how the architects of the new world order are getting all of mankind to think and act the same. What is the religious dimension of this mind control? Considers multiculturalism and the erosion of individual privacy. Explains how the attempt to stir up discontent, protest, and instability is connected to implementation of the new world order and the fulfillment of Our Lady's prophecies made at Fatima. Essential to understanding current world events and where we are heading.